Deck slabs manufacturing: it’s over! The completion of the deck slabs fabrication in October 2018 is the conclusion of the tremendous efforts which have been made outside the site since the very beginning of the project. 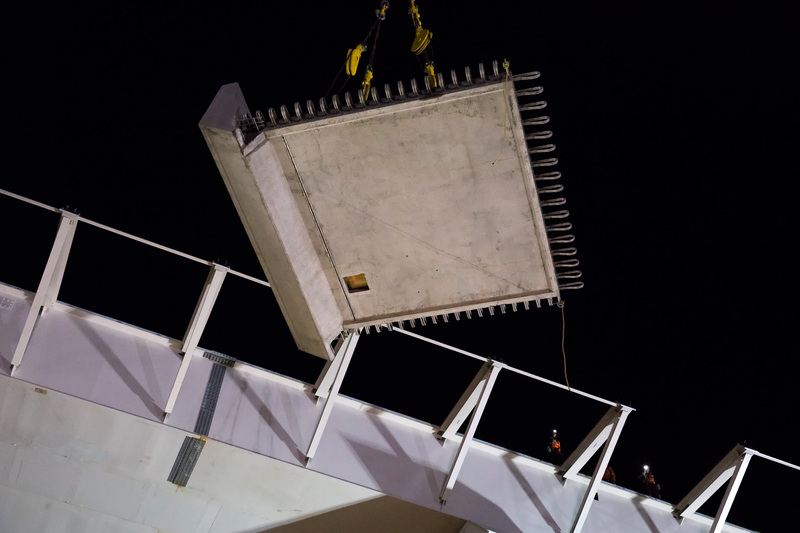 Right from the start, the construction strategy was to manufacture most of the concrete and steel components off-site and to route them to the various work platforms for a later date. Then installation was facilitated and has often been compared to the assembly of LEGO blocks. Let’s congratulate the work of Béton Prefabriqué du Lac, a Quebec supplier, who manufactured 9638 deck slabs from its factories in various locations in Quebec. All that remains is to complete their installation, which should be done by the end of November.